Happy Friday and welcome back to the Friday Five 2.0 linkup! I’m so excited for today’s topic because it comes from Kim — the Kooky Runner. 🙂 Today’s topic is… drumroll, please… favorite races! I’m going to start my list with the Cleveland Half Marathon because, coincidentally, Kim signed up for the half a few days ago. Do you guys know what this means? It means I get to meet her IN THE FLESH in the Cleve — and I’m so excited! Aside from that, the Cleveland Half Marathon tops my list of favorite races for a few reasons. There’s always a surprise on race day and by surprise I mean “the weather.” Cleveland has notoriously wacky weather and we honestly never really know what to expect on race day. Could be snowing, sleeting, hailing, thunder-snowing, water spouting, hot and humid — or it could be just perfect. It’s a toss-up. Cleveland is also an iconic race. Last year was the 40th running of the Cleveland Marathon and is one of the oldest in the country, in fact. The course last year was fabulous and it really showed off all the awesomeness the city of Cleveland has to offer. Never been to Cleveland or looking for a spring race to add to your roster? Come run with me (and Kim!) in 2018! 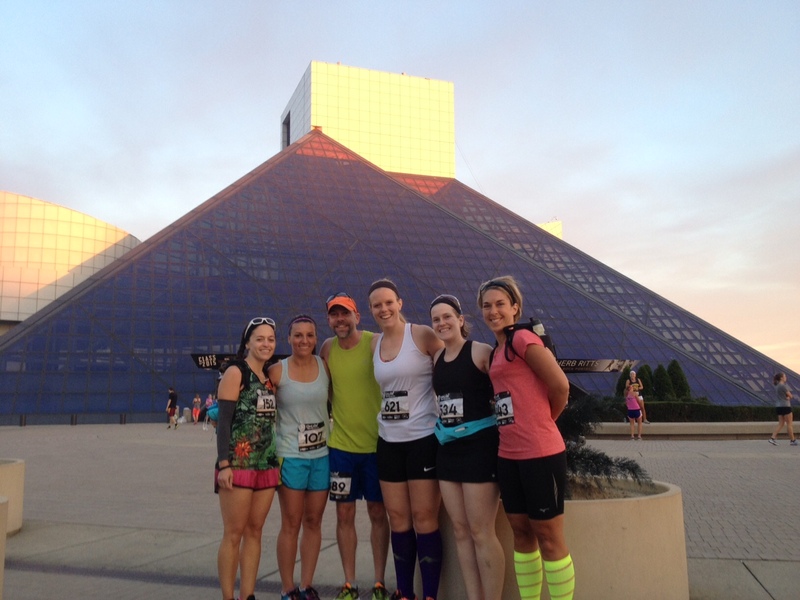 I love the Rock Hall Half Marathon, guys. It’s such a fun race. The atmosphere is such a blast. In years past there has been the half and a 5K. New this year is a 10K and relay! It’s coming up on August 20 so if you haven’t signed up or are interested in doing so, don’t wait! I’ll also be running a giveaway for a couple entries (5K and 10K distances) on social media in a few days, so be sure to follow me on Instagram for your chance to win! I feel like any time I try to describe Grandma’s Marathon, I do it a huge injustice. It’s such an incredible race and I’m so fortunate I was able to travel to and run it. The entire weekend produced memories to last a lifetime. The course was magical. The aid stations and volunteers were pros to the core. The town of Duluth is so much fun and I really enjoyed meeting Gina and Kim in person. Obviously this tops my list since I’m going back for more in October! Marine Corps is so fantastic. What to say? It’s a big race but not overwhelmingly so. It meanders through my favorite city on the planet. There are Marines everywhere so you truly feel like you’re among greatness. It’s just top notch. Everything about it. I can’t wait to go back! OORAH! Iron Horse Half Marathon was my second half marathon. I was still very green when it came to racing. I had no strategy, I had no plan. Miles were logged during training only for the sake of logging miles. There was never any tempo runs, track Tuesdays, or half marathon pace runs. I just ran. In that regard, Iron Horse was easy. But the course was not. Now that I know what to expect, I would want to do things a little differently. The course, though challenging, was beautiful. Just picture perfect. My race day (and weekend) company was some of the best. I wouldn’t trade it for the world. Iron Horse was definitely one of my favorite races. One of these days I’ll get back down there and do it again and run it a little harder, a little wiser. Have an amazing weekend, my friends. I’ll catch you back here on Monday! Do we have any of the same races on our lists? What’s your one all-time favorite race that you would do again and again? These all sound like great races! Gotta love “surprise” weather on race day. The Flying Pig is a favorite. I enjoy running through Cincinnati, although it is a challenging course. Another one is the Honor Run Half in Florence, KY. I ran the inaugural race (I think in 2013) and every year since. Now I can’t miss it! The Columbus Marathon was my first marathon, so I’d like to run that again someday. Have a great weekend! I’ve heard Flying Pig is a challenging course. I’m always in for a challenge! I’ve also heard really great things about Columbus! I’ll have to add that one to my list, too, especially since it’s close. The RnR Las Vegas Half Marathon is my favorite one!! Also, I would love to run the Marine Corps Marathon too. 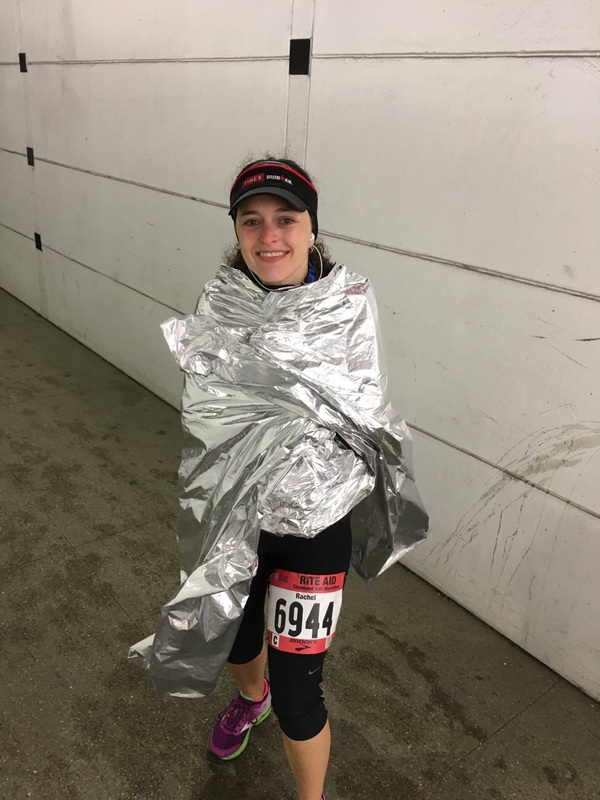 I enjoyed the Cleveland Half (twice!) and Grandma’s Marathon (2015). I don’t think you’ve done any of my faves, but you should put them on your list! I have not done any of your races but last year I did the 10K part of the MCM. So much crowd support and lots of fun. RnR Vegas was one of my favorite half races ever. Nothing like running down the strip! I definitely want to get to Vegas for RNR. Looks like so much fun! I don’t have plans to move any time soon so I’ll be here when you’re ready. It would be awesome if you came! I’ve never done those, or any other races, on the east side of the country. Someday! Yes! Hooray for the Cleveland Half! 🙂 Hopefully we’ll get normal weather next year, lol. I have quite a few favorites, but the NYC Marathon and Rock ‘n’ Roll Chicago will always top my list. I think everyone should do Rock ‘n’ Roll Las Vegas at least once because it’s pretty cool to run the strip at night, but it’s also really expensive! I definitely want to do RNR Vegas. I was hoping to do it a few years ago for my birthday but it didn’t work out. Maybe for my 40th! It’s one of my faves. 🙂 And it has a super fun story behind it. The guy standing directly behind me with the goofy grin picked up my hands right as the photo was being snapped. I definitely think he has/had a career in theater. Lol! I am one and done when it comes to halfs. Too many states to go . . . and no, since I haven’t done OH, pretty much I’ve done none of those races. I’ve only been to Cleveland once, many decades ago. My aunt lived there (and loved it) and I was out looking at colleges (not OH, western NY) & my cousin just happened to be getting married. So we didn’t really see Cleveland & that is the only time I’v ever been to OH. Let me know which race you end up choosing in Ohio. Maybe I can come meet you! I was hoping to make it to Wineglass this year but that’s obviously not happening. I can definitely see why you chose MCM! I think any military based race is so special! MCM is fantastic. It’s such an amazing atmosphere. I love MCM (obviously). I totally missed this topic – thought we were still on free topics LOL. Shame, shame. 😉 Just kidding, no worries about missing topics. They’re just suggestions. Maybe I get to meet you this year at MCM?? It’s funny, but I haven’t repeated any races I’ve done. The Disney Princess and the January half have the same course, but they were different races. I am thinking about doing the MCM 10k next year, and now that I have family in the DC area, maybe I can talk them into doing it too. FOR SURE! MCM is the best. Lots to look at, a ton of crowd support and excitement. Plus DC is super cool. So exciting that you get to meet Kim! I’ve heard great things about Grandma’s and Marine Corps. They’re both on my list! I’m super excited to meet her. It will be fun! Grandma’s and MCM are both phenomenal. Hopefully I’ll get to meet you one day, too. Maybe at one of those races! Love the photos! Thanks for sharing all your fav races! They look so fun! I haven’t ran any of these, but always hear great things about Grandma’s and MCM. They are both top notch. I can’t say enough amazing things about them! I’ve mentioned it before but Grandma’s is a bucket list race for me, mostly because my marathoning uncle ran it several times. 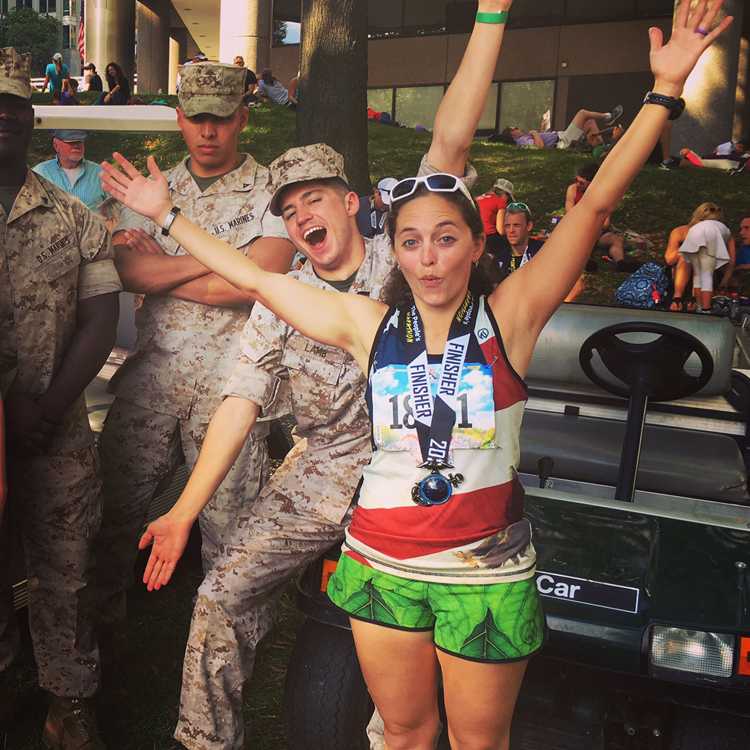 I <3 the Marine Corps Marathon!! I've run it twice and was training for my 3rd when I tore my meniscus last year. 🙁 Major bummer. I've also run, and loved, Flying Pig in Cincinnati and the Salt Lake City marathon. Salt Lake gave me terrible weather but was such a welcoming town and such a great race!! I have similar memories of races that weren’t great for one reason or another, but that I just loved anyway! I hope you do MCM again soon. I would love to participate in the Rock Hall Half Marathon. Do you have any tips I should consider before taking part in it? Rock Hall Half is pretty low key. If you’re from out of town, plan on sticking around so you can use your free ticket to the Rock and Roll Hall of Fame! MCM is the only big city race that appeals to me. I’m not a big fan of big cities to begin with. DC doesn’t really seem so big to me for some reason. I love it there! My marathons have probably been my favorite races. For several reasons. MCM, Twin Cities, and Chicago definitely at the top! I’ve heard great things about Twin Cities!! I would love to run it one of these days. I love reading posts about good races! I’m on the west coast so I haven’t done any of these but Grandma’s and Marine Corps are both on my race bucket list! Over here, I’d say my favorite races are The La Jolla Half Marathon (so beautiful but hilly) and the Surf City Marathon (my hometown!). Great list! I’ll have to check them out if I’m ever in the area! These races sound wonderful. MCM is on my list! In my case, it may be the people you are with and not necessarily the actual race that make the experience a great one. It’s cool you’ll get to meet Kim. I 100% agree. Races are almost always shaped by the company! I don’t think my memories would be nearly as fond of some of my races had I not been with the people that are so awesome. I’d love to run Cleveland !! 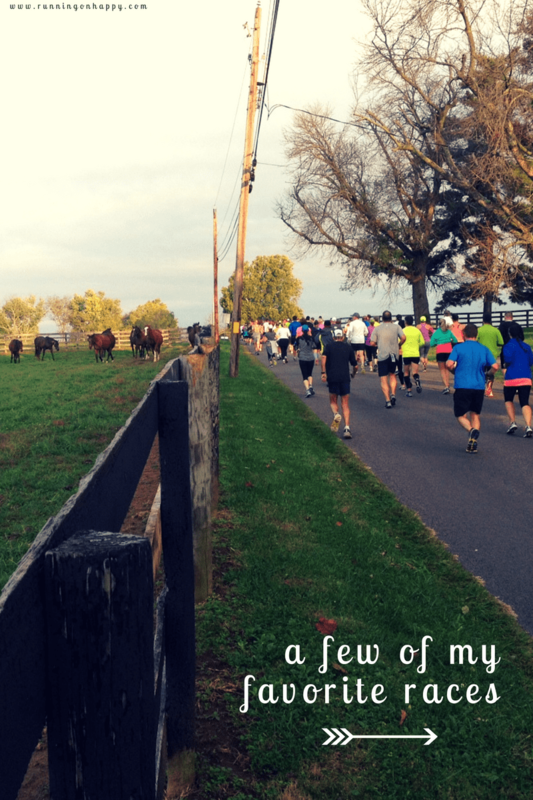 …and the Marine Corps Marathon of course! Great list!! Come visit, girlfriend!! 🙂 Would love to have you! Looks like you had so much fun. Congrats on all runs you’ve done. So inspiring! Those look like amazing races! One of my most favorite races was Rock n Roll Denver half!! These sound great! I’ve never done any of them but definitely should add them to my bucket list. My favorite race was probably the Maui Marathon, because a) it was my first marathon, and b) it was in Maui, haha. Maui sounds amazing. I would love to run there! I bet it was gorgeous. I’ve run Chicago Marathon and the Flying Pig Marathon multiple times and will probably run them again. Fun list. It’s such a great race, isn’t it? I can’t believe you ran it 10 times. This is only my second.